← Is that an Earthquake or is my cell phone on vibrate? WARNING: This post is very boring with no point or purpose. Um, so I accidentally took a break from the blog. I had plans to get up a bunch of birthday posts throughout the whole month of August and not only did I not do that but I only published 11 posts total. Slacker. So, here’s where I give you all of the excuses and tell you what I’ve been up to this month. The biggest problem is just that I’m so tired. Being pregnant will do that to you. During my usual blogging time I keep falling asleep with the computer on my lap. Not effective. If I manage to stay awake I often just don’t have the brain power for concentrating on writing. I have still been reading other blogs, but not commenting on them (bad, Jenn, bad!). I keep getting behind on my email. On top of the sheer exhaustion I’ve just been plain ol’ busy. A few weeks after Adaline’s birthday party we had a yard sale. We still had to drop a lot of stuff off at the Salvation Army, but overall it was a success. 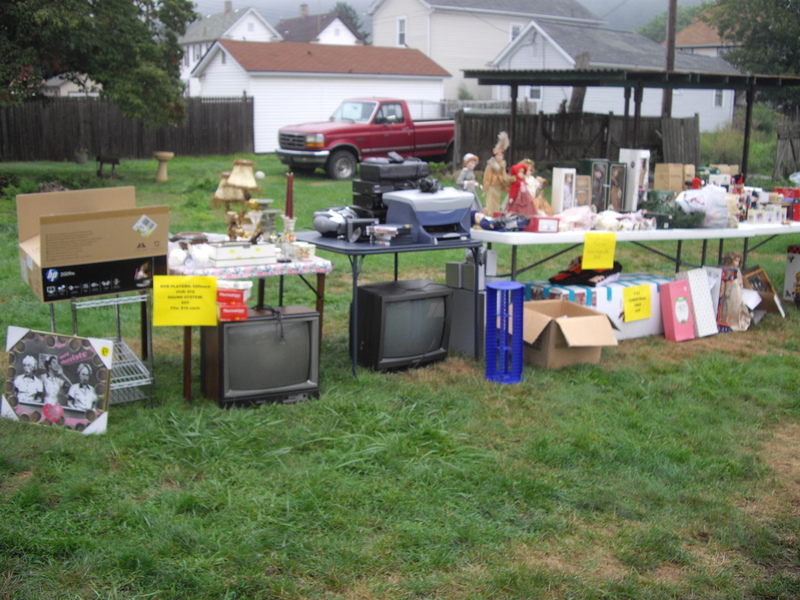 We got rid of all of the big items that we wanted to and made over $300. A week later Adaline got sick. She was spending the night at my mom’s house and woke up at 1:30am with a fever of 102. My mom didn’t call me until almost 7am and I went over right away to help out. 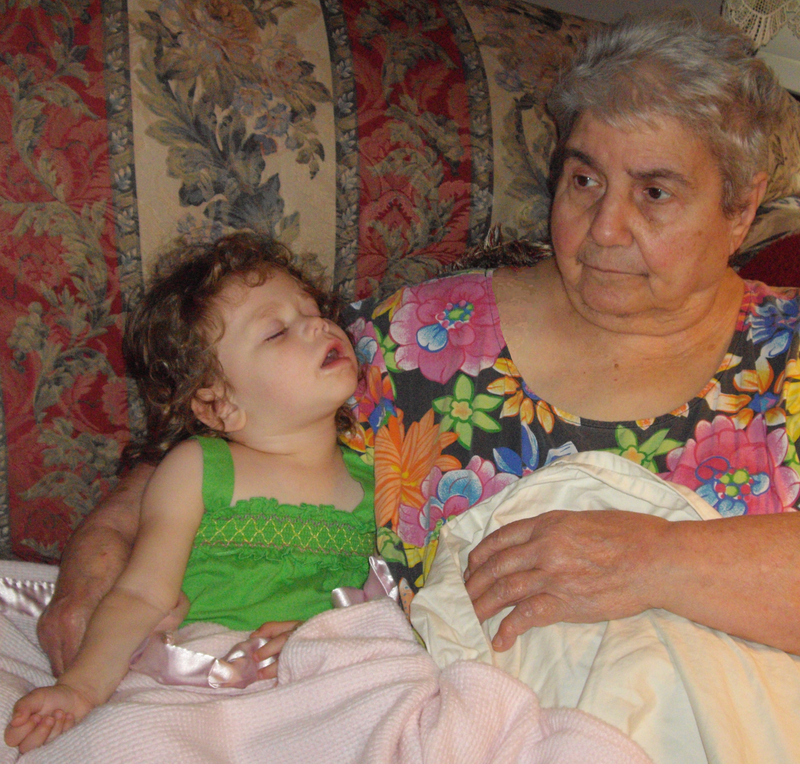 Poor little thing slept on me most of the day, but there were some times when she didn’t want anyone but her Nunny (her great-grandma). Luckily it was only a 24 hour bug and she was feeling fine the next day. The next day I watched my nephew while my sister went to an appointment. 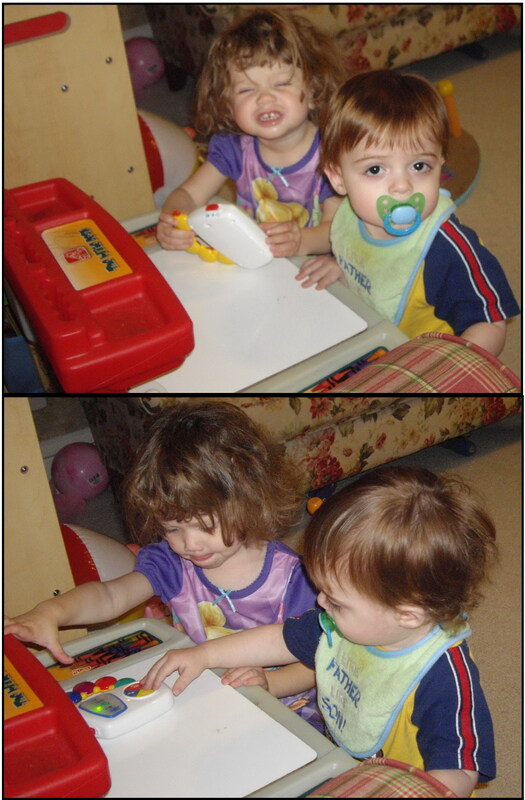 The kids played well together and there was this touching moment where they both sat down at Adaline’s desk together. My husband had last weekend off from work and we were planning on getting a lot of stuff done around the house. Unfortunately my great uncle passed away and we attended the funeral instead. I was supposed to start potty training Adaline at the beginning of this month. That hasn’t even begun to happen. I have all of the supplies and none of the motivation or energy. Too bad you can’t buy motivation and energy on Amazon. Next week we have our 20 week ultrasound and whether we sell this house or not we’ve got to get the spare bedroom cleaned out and fixed up for the new little one. So alongside of the many other projects we’re trying to do around the house we’ll be starting on painting and decorating the nursery in the next few weeks once we know girl or boy. 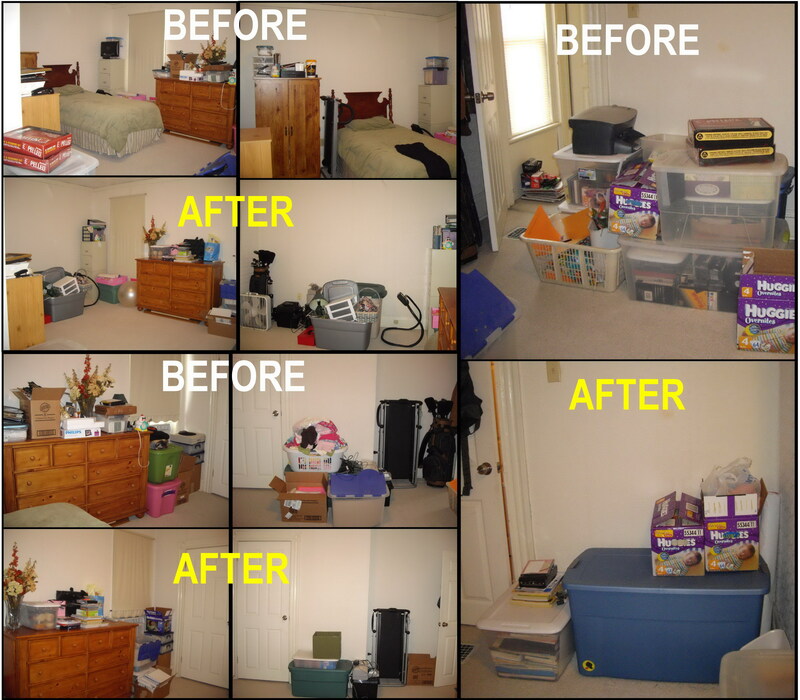 That is if I ever finish cleaning out that disaster of a room you saw in the above photo. We are moving at a snail’s pace around here. My husband’s crazy work schedule coupled with my deep desire to do absolutely nothing but lay on the sofa eating ice cream means that not much is getting done. Blah. I’m going to try to get up a few more of the birthday-related posts that I missed in August, and other than that and maybe a few Wordless Wednesdays or updates here and there, don’t expect too much from me for the next month. I’d rather take some time off from the blog now rather than November-December which are my favorite holiday/tradition months, so let’s hope that I can be productive and get some stuff done in the next month or so. Oh, and my birthday is coming up. You can have your own personal celebration by visiting all of my “Celebrating 30 years in 30 days” posts from last year which gives you a peek into all of my birthdays from the past 31 years. Thrilling, I know! 1. Time 2. A housekeeper 3. Chocolate and ice cream and brownies and fudge and the occasional pie. Well, I’ll see ya when I see ya. Posted on September 14, 2011, in Blog Stuff, Random. Bookmark the permalink. 5 Comments. I’ve missed you! Glad you are taking time off to leisurely grow your baby! 😉 (That pretty much sounds like the first half of my second pregnancy too). Happy upcoming birthday! If I could get away with it I would use the pregancy excuse and my youngest is 6 years old!!! Lol!! You are growing a human baby, no excuses needed, plus you have a two year old!! I don’t know how you guys do it, I didn’t start blogging till last year and all three were in school full time!! I say three cheers for you!! Also, this is some unsolisted adivice but don’t sweat too much over the potty training. My first peditrican had told me to make it availbe to my darlings read some books with them, no pressure, and when they were ready it would happen. It turned out that my freinds who sarted earlier were done the same time we were not working hard at all!! My two cents, and it’s proably worth less, but I feel better having shared it!! Lol!! Feel good!! Nice to see you here again! Relax while you can..second baby means more work. Of course your hormones will be back in order again and accommodate that! I liked your analogy of brushing your daughter’s hair with twigs! Aw. Even though it was like 100 years ago, I remember how exhausting pregnancy was. 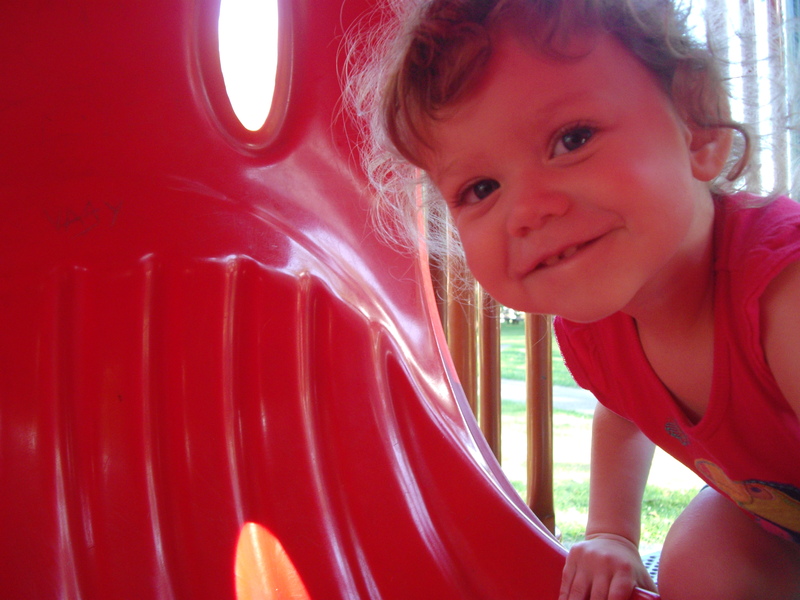 The second time I was pregnant I had a two year old too. If I could bottle you up some energy, I would.